Here are some examples of courses I have run in the past. This was a five day summer school I ran at The University of the West of England for several years. The course was designed to explore the nature of creativity and the factors that influence our ability to be creative. 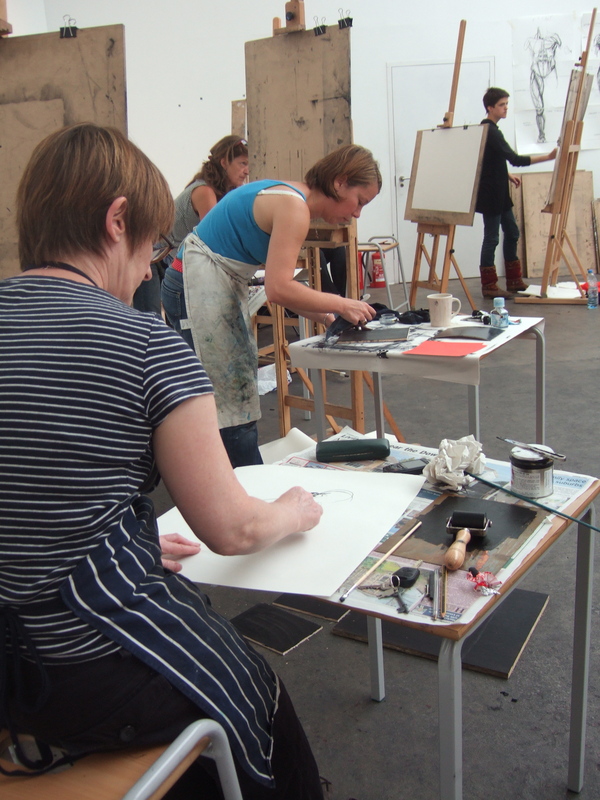 Using the process of drawing, the course looked at ways of improving perception, concentration, visualisation and intuition. 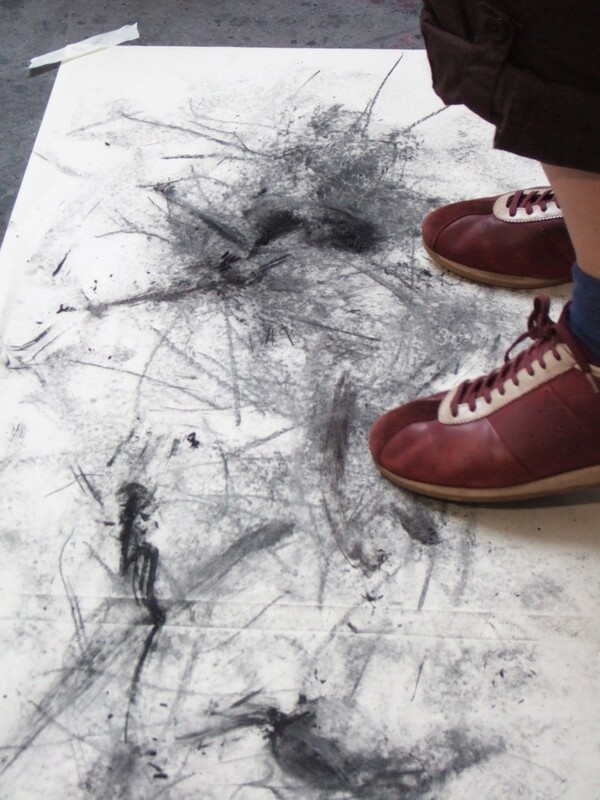 It was aimed at exploring the process of drawing rather than the outcome. This was a welcome opportunity for experienced or dormant art/design practitioners to invigorate their creative potential through drawing in its broadest sense. 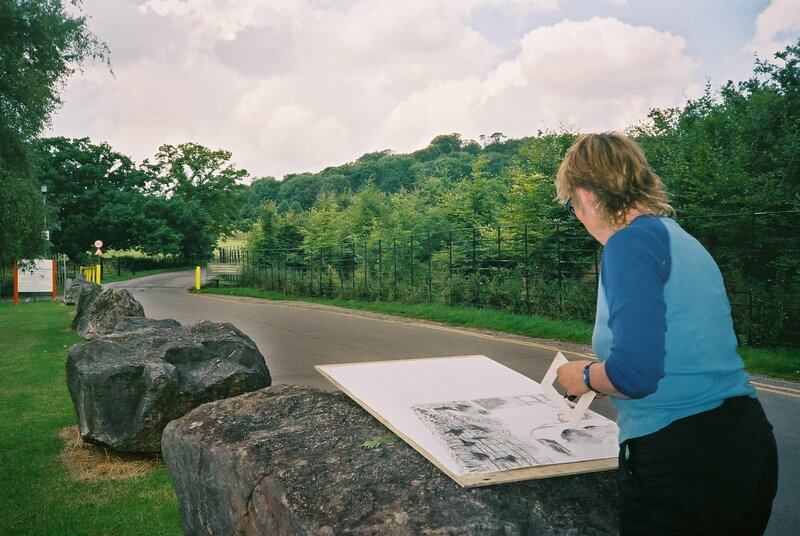 Using the process of drawing, the course explored ways of enhancing confidence, improving perception, concentration, visualisation and intuition. All my courses use set exercises to encourage the use of a wide variety of materials and methods in an informal and spontaneous setting. As the course progressed there was tutor lead time to work individually in order to identify and develop personal projects and concerns. These popular sessions of life drawing classes were ideally suited to those who wished to study the figure in motion. 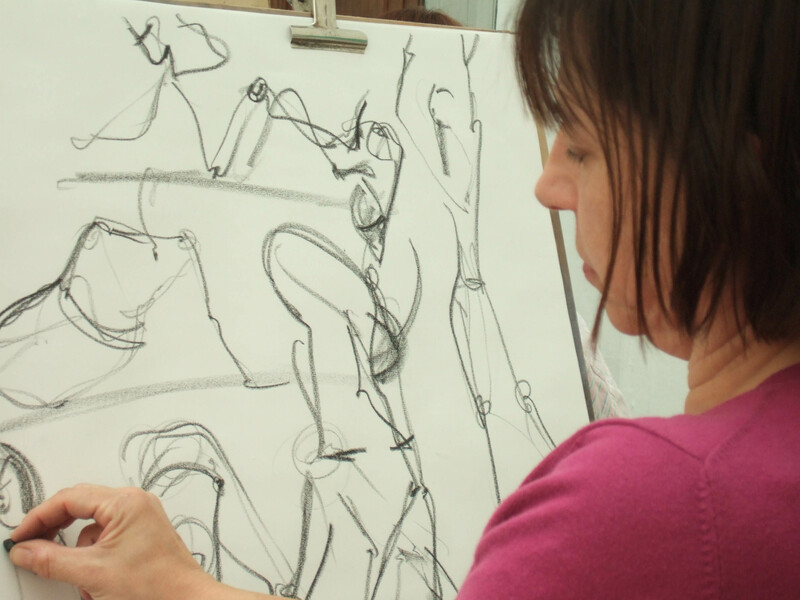 The course was designed to increase confidence and the ability to draw a figure quickly regardless of previous experience. It was a unique opportunity to develop intuitive and observational skills with individual tuition and guidance. There was an opportunity to study rhythm, line, character and sequence drawing. The course progressed to drawing storyboard sequences from life working with an actor or performer as model. A fast energetic approach was encouraged to make these classes a lot of fun for the participants. 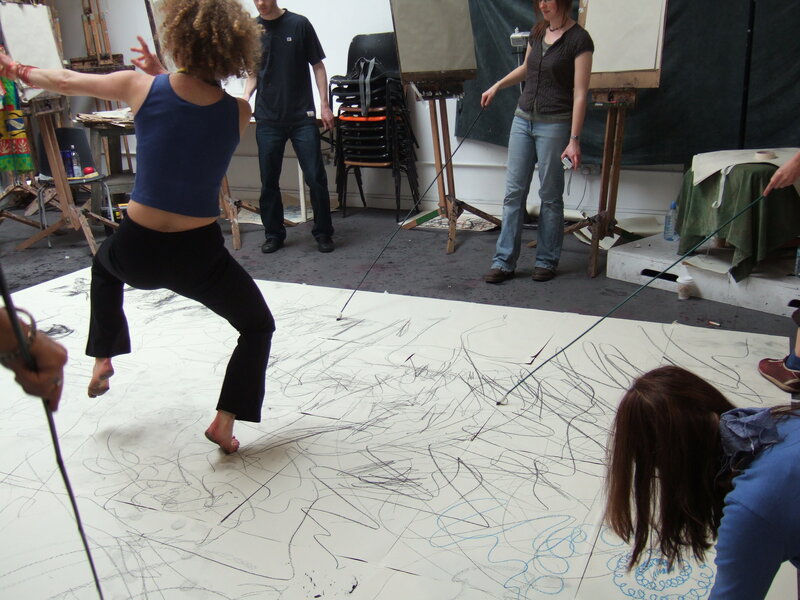 Drawing circus performers at Circomedia Bristol, where I ran a weekend workshop for the Bristol Drawing School. I developed these sessions as a result of training I provided for the Bristol School of Animation and Aardman Animations. 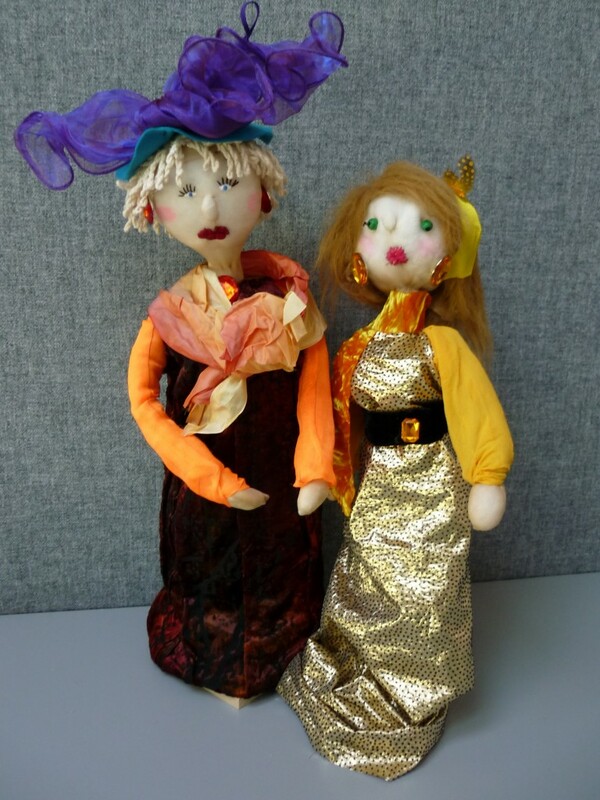 Using recycled materials and textiles the participants created their very own ‘diva’. From opera to ballroom there was plenty of scope for the imagination to run riot during this day- long workshop. I have taught many courses on life drawing, continuing to do so throughout it’s low ebb in art schools during the 1980s. 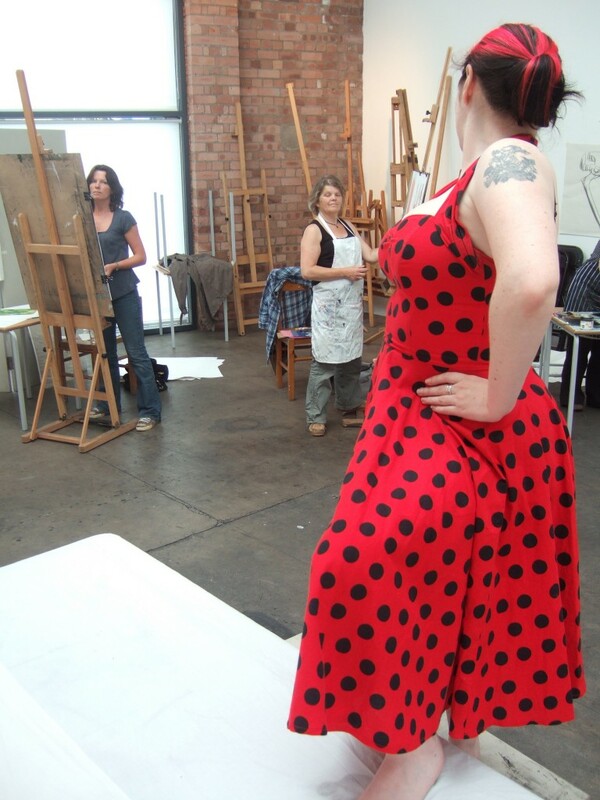 Life drawing can form the basis for visual skills in a wide range of creative practise. The process of observational drawing can serve as a helpful discipline not only for its obvious outcome as a ‘drawing of a figure’, but among other things as a tool for greater understanding of the visual world. This was a week in which to explore the development of ideas through the process of drawing – how drawing can be anything you make it. 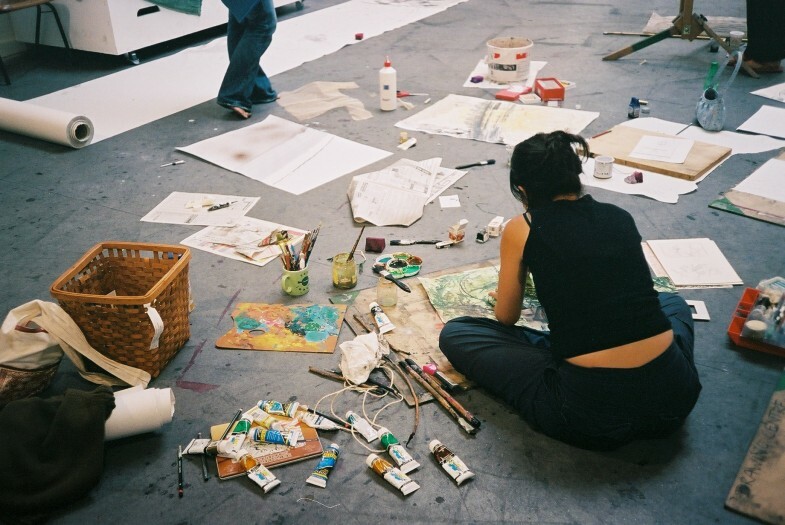 By experimenting with techniques of drawing and the use of a variety of media, the participants discovered direction, or consolidation of previous practice; there were exercises in subjectivity and objectivity. 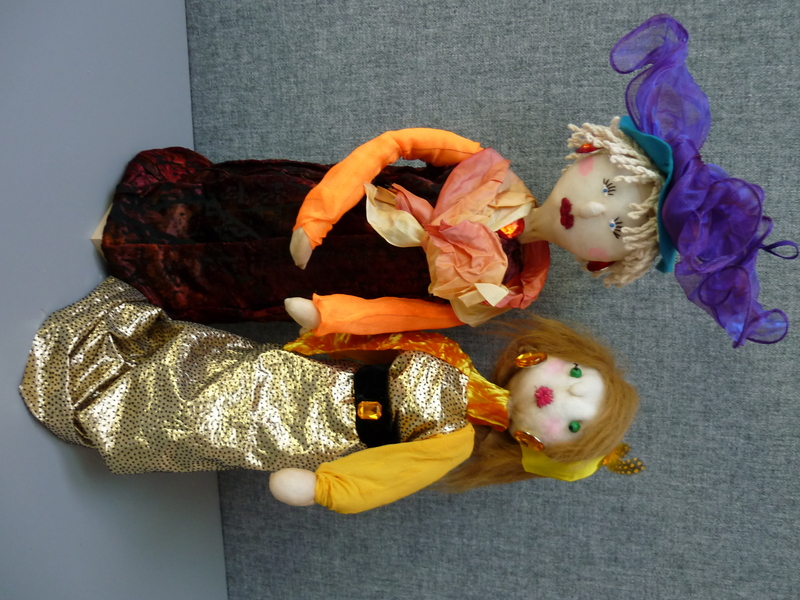 As a result of the process throughout the week, they produced a body of individual work with guidance from the tutor.